Now based in Salt Lake City, Utah, Joy has been practicing immigration law exclusively since 2007. 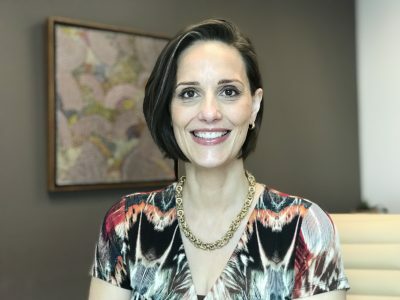 She focuses on employment-based immigration, particularly H-1B Specialty Workers and E Treaty Traders and Investors, and has a deep experience with the employment-based permanent-residency process, including PERM (labor certification) and I-140 immigrant petitions, followed by adjustment of status or consular processing. A particular niche area of hers is advising and representing those in the field of Montessori education. On the family side, she represents couples in consular processing and adjustment applications based on marriage and other family-based petitions. She is particularly known for her representation of bi-national LGBT couples, having counseled countless couples on legal options to remain together in the United States before the fall of DOMA, to filing scores of marriage-based adjustment applications post-DOMA. She also has a successful track record securing marriage-based permanent residency where both spouses are transgender, even pre-DOMA. Her practice also focuses on parent-child sponsorships, both adjusting status and consular processing. Joy specializes in removal of conditions for conditional residents as well as naturalization. Prior to practicing immigration, Joy gained experience in employment, civil rights, and product liability class action litigation at California-based law firms. Joy is a member of the American Immigration Lawyers Association. Check out my reviews and connect with me around the web!